My attempt here is to explain Cal king genetics as simple as possible. There will be a lot of information I will leave out because this page is intended for those with very little to no understanding on how genes work. Explaining everything in detail can be very confusing to the beginner and I want to make this an eye opening experience for those new to this that are interested. In simple terms a snake is born with a series of genes that are responsible for colors and patterns. Each gene contains an allele from each parent of that snake. These allele's are responsible for the pattern and color of the snake. There are normal alleles, which are responsible for normal wild type patterns and coloration, and there are mutant alleles that are responsible for genetic mutations, which cause either pattern or color abnormalities, and sometimes even both pattern and color abnormalities at the same time. We call snakes with these genetic mutations morphs. Genes that cause a genetic mutation (morph), work 3 different ways in the way they are inherited. One example would be the Newport morph. This morph is caused by an incomplete dominance gene. When breeding a Newport to a normal banded king, you normally get less than half Newport's out of the clutch. The majority are normally banded. Normal banded kings carry the Dominant gene. Its not completely dominant over the incomplete dominance gene but it is dominant over the recessive gene. Albinos carry a Recessive gene. When you breed an albino to a normal banded, all the babies will look normal but they will carry the albino (recessive) gene along with the dominant gene from the normal banded parent. These are known as het's (heterozygous) or het for albino. Het's look normal because the dominant gene they carry from the normal parent is dominant over the recessive gene from the albino parent. So basically every snake carries two genes, one from each parent. I added the chart bellow to give a better idea how dominant and recessive genes work. On example #1 the first parent is normal banded (dominant), and the second is albino (recessive). When bred together all the offspring are 100% positive het for albino. These het's carry the albino gene and the dominant normal banded gene. Most of the time, het's look 100% normal. #2 Both parents are het albino. The results are 1 out of 4 is normal, 1 out of 4 is albino, and half of the offspring are het for albino. Since the normal offspring and the het's look identical, we can't tell which ones are het and which ones are normal, so we call all the normal looking offspring possible het's. Only the albino offspring can be positively identified in this pairing. You will be able to figure out the rest pretty easily. 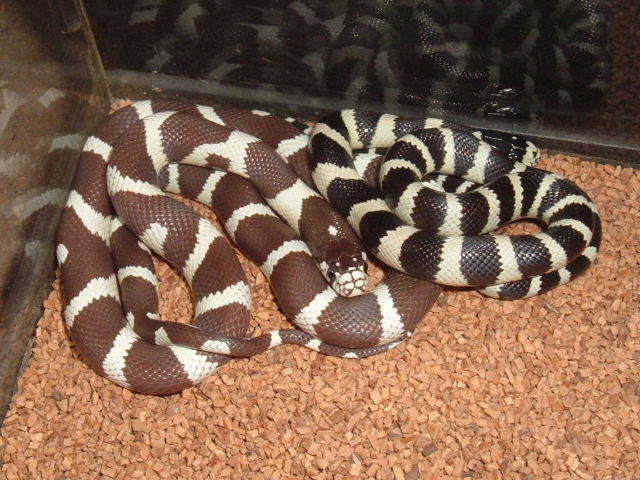 Breeding an incomplete dominance to a recessive: For example, if you breed a Newport (incomplete dominance) to a banded albino (recessive) you will get Newports and bandeds with normal coloration. All will be het for albino. Here's a list of morphs and what type of gene they carry. 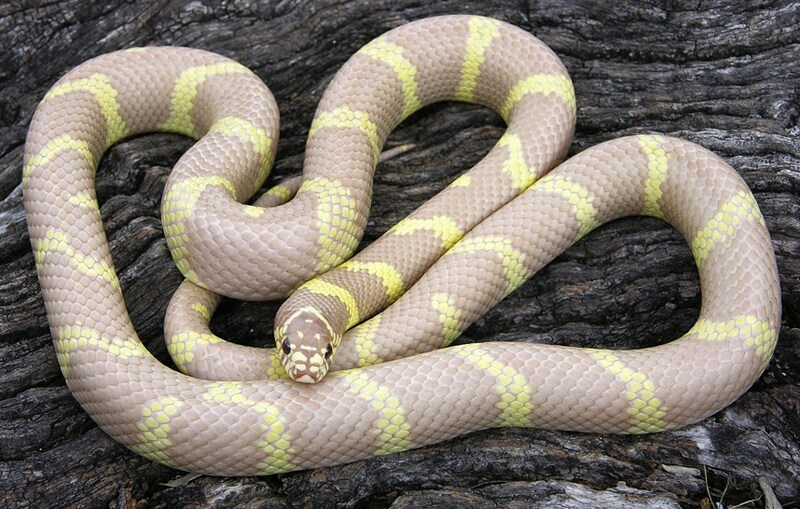 There are some changes I've made with names from Hubbs book on Common kingsnakes that may or may not stick. The reason for these changes is, at one time I was writing a book on Cal kings and felt some of Hubbs names miscategorized some of the morphs found in Los Angeles County. The main problem I saw was the name "mud" used for two different morphs that have two different genes. To categorize them properly, I changed the Blotched mud morph to a Newport mud morph and I changed the Striped mud morph to the Whittier mud morph. 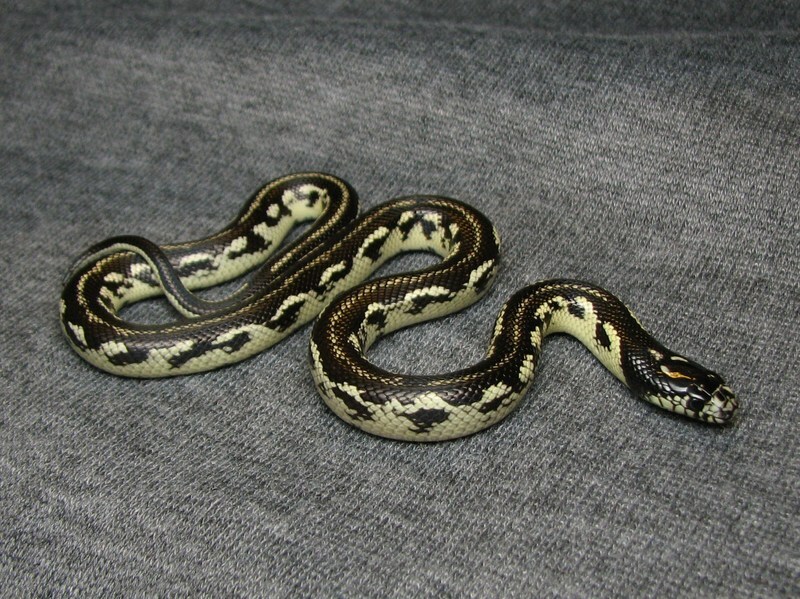 The main problem with the Blotched mud morph is it is actually a Newport, so there will be striped examples of this morph. 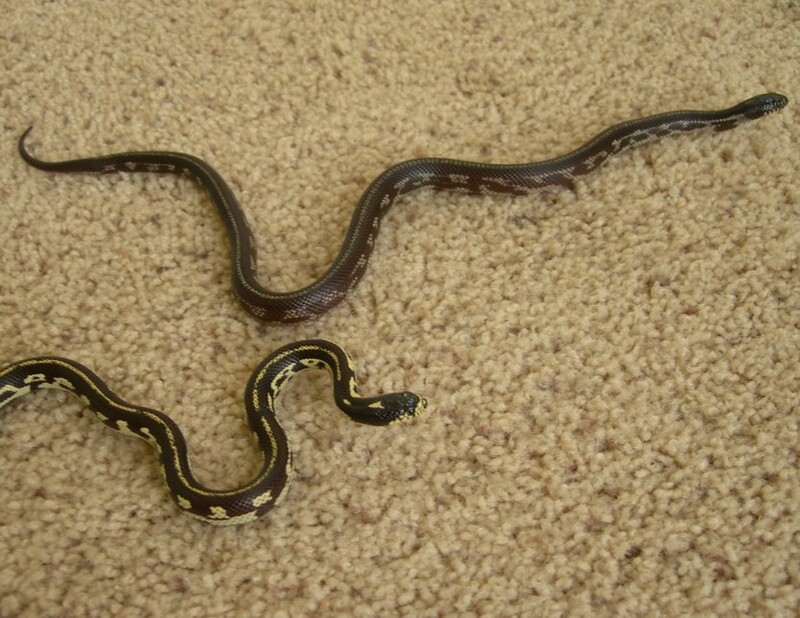 This morph is actually two morphs in one (Long Beach hypermelanism & Newport). 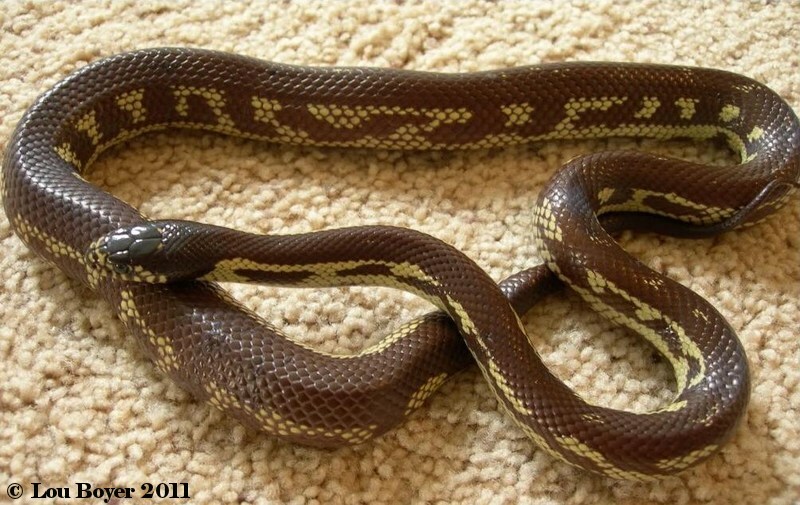 A striped example of this double morph would be better called a striped mud morph based on its name, but that name was already used. For that reason, I felt adding the name Newport in place of "blotched" was a better alternative. 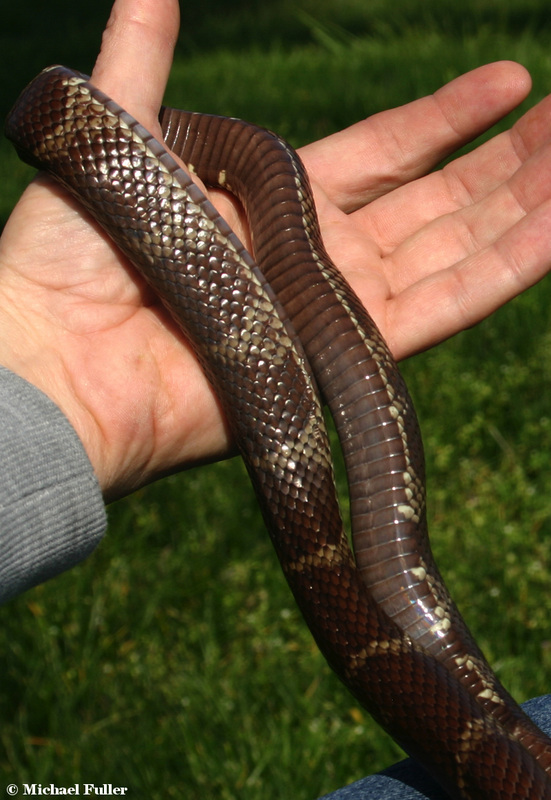 The Striped mud morph was in reality a type of Whittier morph. The Whittier morph name has been used since the 70's, so I felt it should always be used over all other names. At first I tried to call the "Striped mud" a Whittier aberrant, but there are a lot of people that refused to drop the 'mud' name, so I decided to call it the Whittier mud. I also believe the Unicolor morph in Hubbs book is actually a very reduced patterned Whittier morph. Now for the definition of double homozygote. 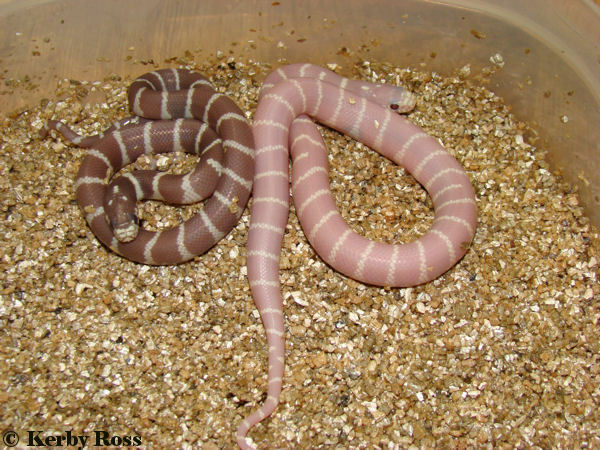 If you breed a Lavender albino to a Striped Mud morph (both recessive), all the babies will look normal but will be het for both genes. These babies are called double hets.They look normal, but carry both genes. If you breed these double hets together, the results are really variable. Among a clutch of double het to double het breeding, you will or can get Lavender albinos, Lavender albinos het for Mud, Muds, Muds het for Lavender albino, double hets, Normal het for Lavender albino, Normal het for Mud, Normal het for nothing, and then there's a 1 in 16 chance of getting a snake that expresses both Lavender and Striped Mud at the same time. That snake would be called a double homozygote. That example was using two different morphs with recessive genes. When using two different morphs with co-dominant genes, the results are different and they come in the first generation instead of having to raise hets for three years to breed. For example, if you breed a LB hypermelanistic to a Newport, you have that 1 in 4 chance of producing a king expressing both traits in the first generation. 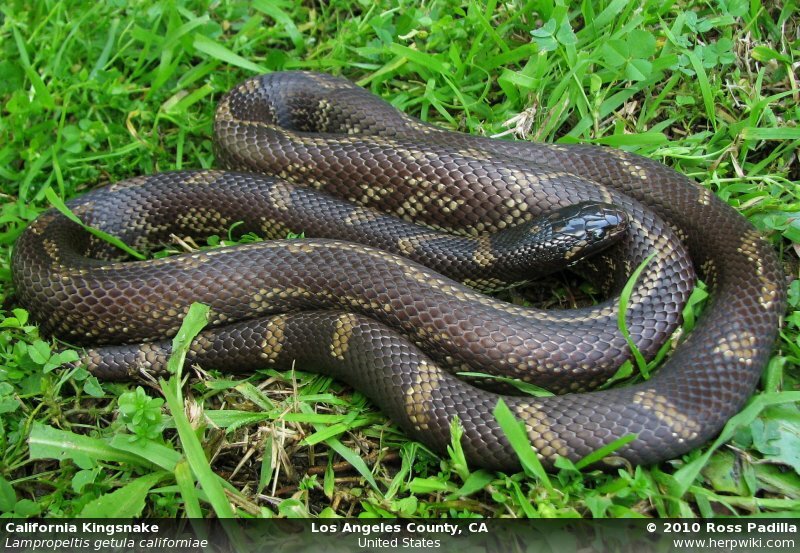 This is not a double homozygote, because that only refers to two recessive genes being expressed in one snake. 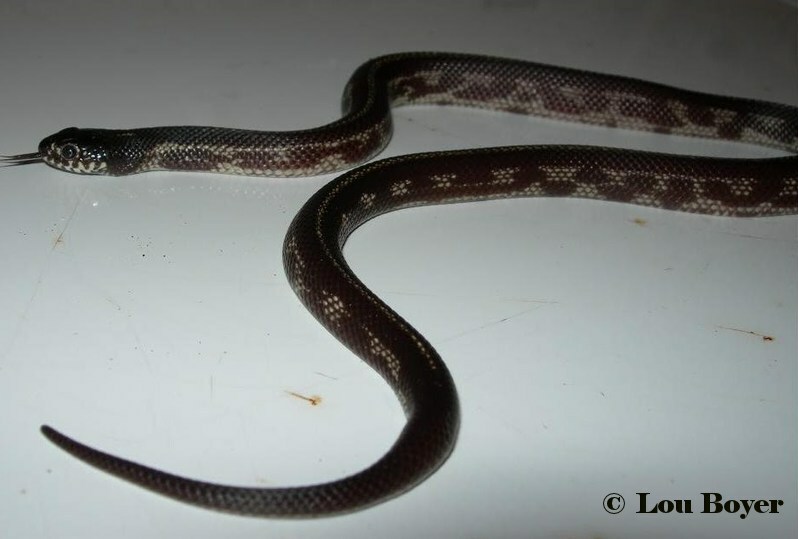 With this breeding of a Newport X LB hypermelanistic, there would be no hets because snakes that carry a co-dominant gene always express that gene. Because Cal kings normally lay under 10 eggs, it may take two or more years to see a double homozygote from morphs with recessive genes. 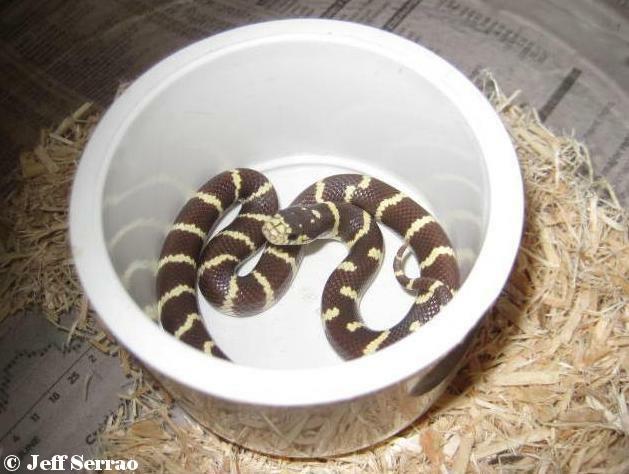 If a kingsnake double clutches, which is one clutch after another in the same year, the results might come sooner. I plan on doing this breeding (LB hyper x Newport) in 2012. Not all kings expressing the LB hyper gene are very dark, so its possible I may produce a king expressing both traits that's not as dark as Lou and Hubbs Blotched Mud Morphs. Theirs are very nice examples of that morph. One thing that must be mentioned is you can get different results when breeding locality snakes to each other vs. two kings from different localities. One example is the striped king from SD Co. 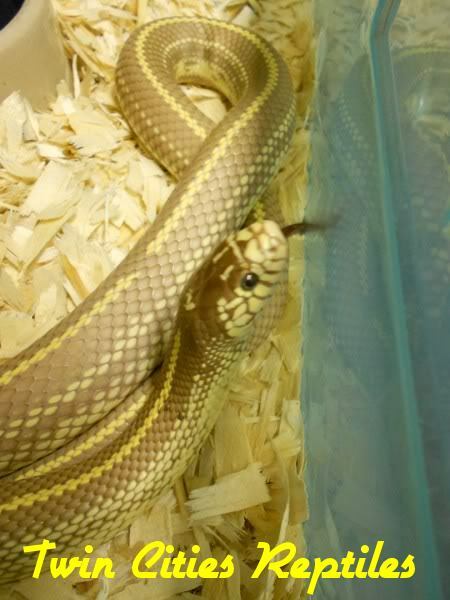 If you breed a striped king to a banded king from the same locale in SD, you can get striped and banded in one clutch. Aberrant's rarely pop up. 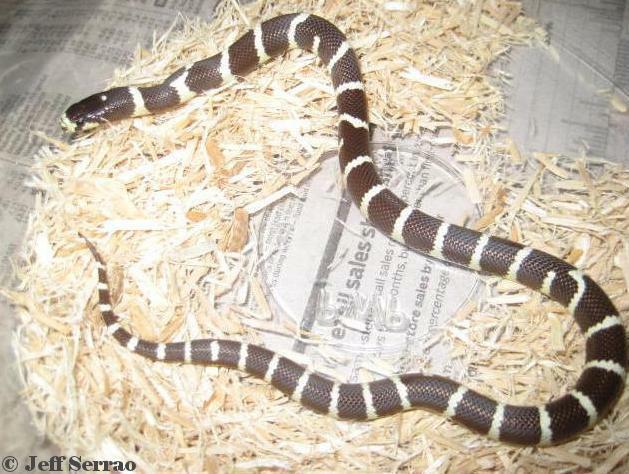 Now if you breed a striped king from SD to a banded from LA, you can get mostly aberrant's in a clutch. I first heard about this from Frank Retes (a pioneer in Cal king breeding), then later my friend proved it true when he tried the breeding. 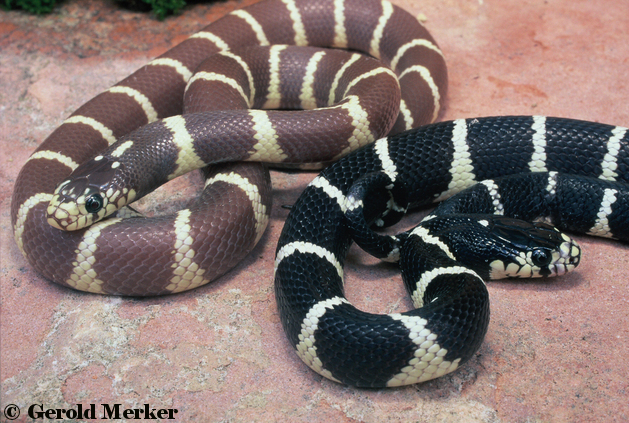 There is more on striped kingsnake breeding in Hubbs book on Common Kingsnakes. One locality breeding I also found interesting was when my friend bred a SD striped aberrant to a normal banded, both from Ramona CA. Out of 9 eggs, he got 5 striped and 4 banded. None were aberrant at all. It just goes to show why aberrant's are rare in the wild. What causes Aberrant Cal kings in CA? An aberrant is always a striped morph (Eiseni, Newport, SD striped,Nitida) expressing banding influence. Its unknown to me why this happens. In the SD striper, banding influence causes dashes down the back. How do we know? Count the dashes on a completely dashed snake and you will get the same number you would get if you were counting rings. When counting dashes use common sense and don't count a 3" stripe as one dash. lol Same thing can be applied to dots and diamond shapes. So now you know what causes broken stripes (even only one or two breaks) in striped kings. 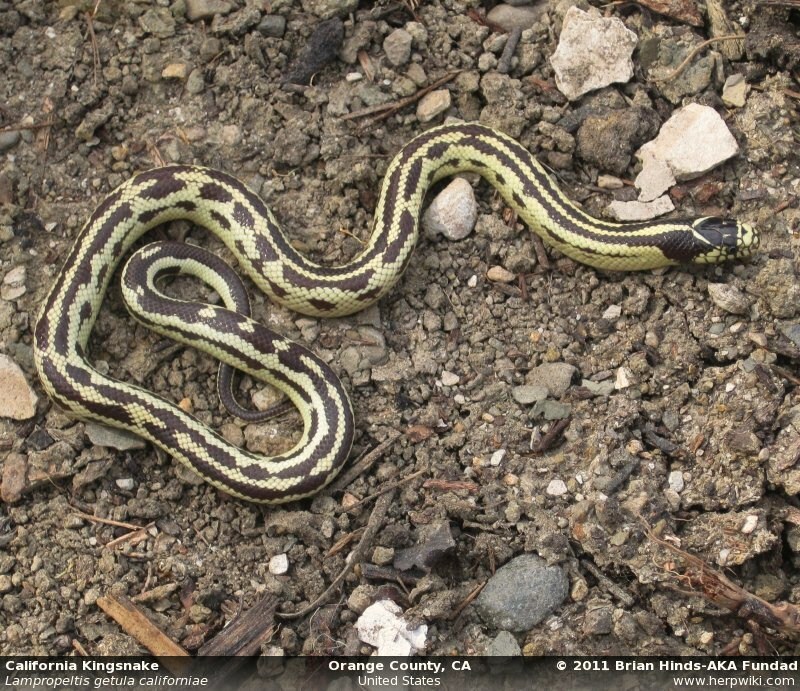 That's why you don't see consistently broken stripes in Garter snakes or striped Racers, IMO. They don't have banding influence. Banding influence also causes curvy stripes and checkered belly patterns in Riverside Co. stripers. It also causes the normal side speckling in SD Co. to fuse together into solid yellow aberrancies in Riverside Co. stripers. The same exact thing happens with the Newports. Sometimes the yellow aberancies on the sides are obviously caused by banding influence such as with the juvenile Newport in the photo below on the left. Look at the smallest dashes and how they perfectly aline with the side markings. Also notice the dots near the tail and how they also aline with the side markings. For some reason Newports have much more banding influence than SD stripers. 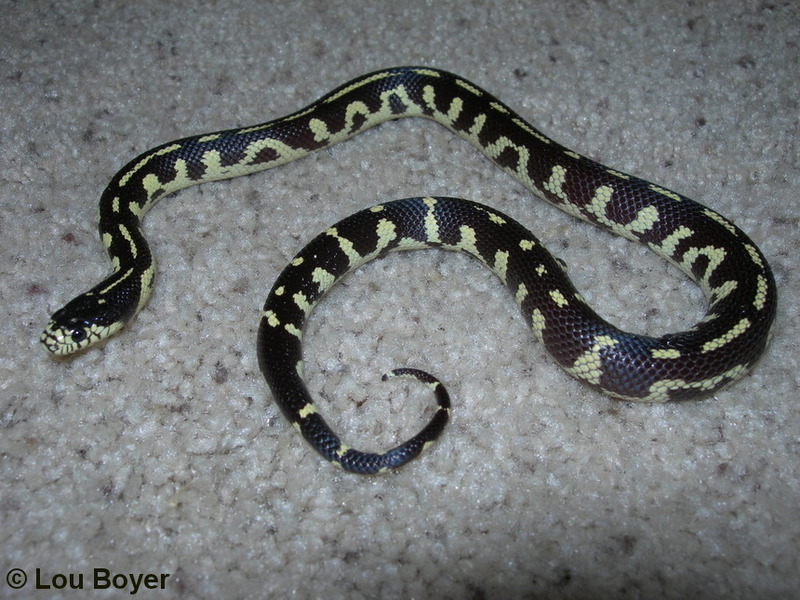 The ultimate banding influence in a Newport is the Scrambled banded morph. 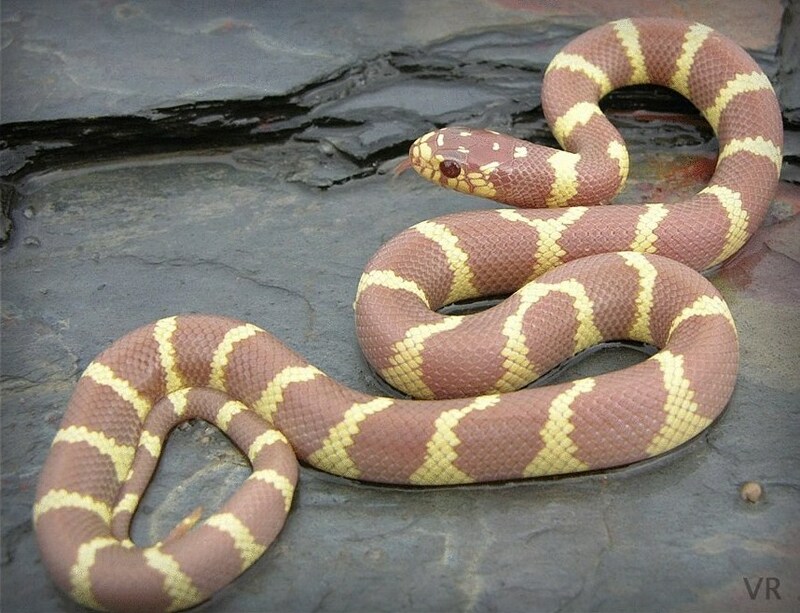 The ultimate banding influence in a SD striped king is the barred morph. 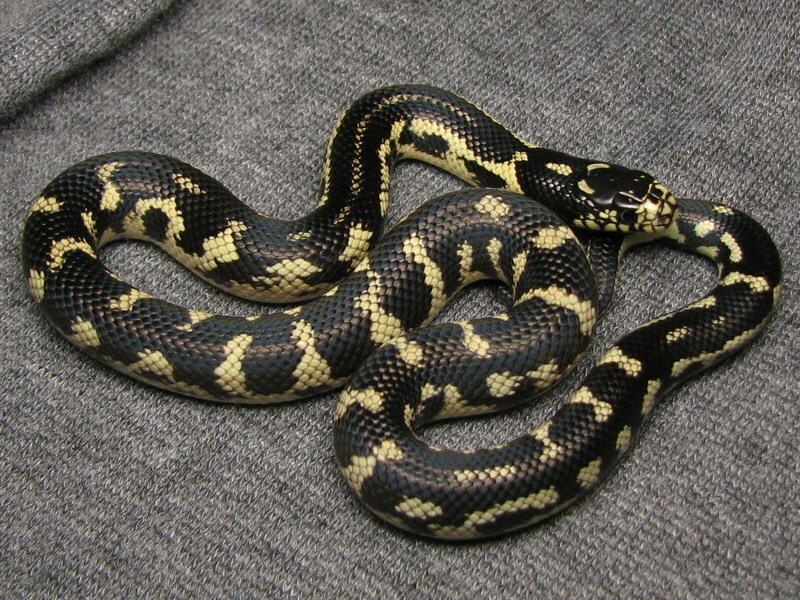 Also known as Newport or Newporter, this morph is co-dominate, codom for short. I've only bred this morph a hand full of times. From my experience this gene has shown some variation in the percentage of Newport's to a clutch and variation in pattern, which I believe depends on the pattern of the Newport parent. So far I've only worked with non typical Newport's and I'm pretty sure that is why I've seen a lot of variation in pattern. 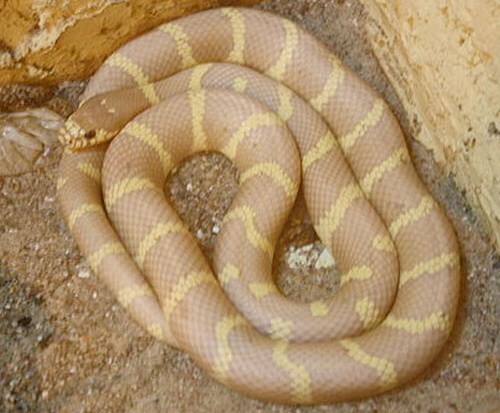 There are several aberrant pattern types in this morph. The stripe is normally affected to create different aberrant patterns. The stripe can be replaced by irregular bands, dashes, dots, or the stripe can be reduced or absent. 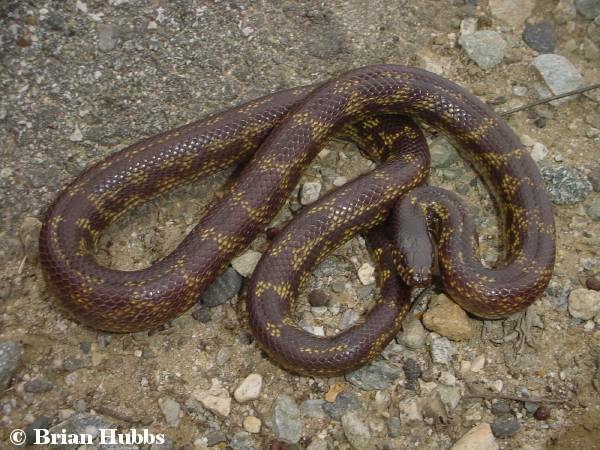 The pattern can also be any combination of all those traits throughout the entire snake or mostly striped and partially aberrant. Because there are so many different variations in those non consistent patterns, there is no way to name them, so I'm calling them Non Typical Newport's. Don't be left with impression there are all these different Newports out there. The aberrant's are considered rare. One specimen Brian Hinds found had an abnormal amount of yellow pigment. There's no special name for that Newport, but I will call it High Yellow. You can find some like that in captivity, but in the wild its a different story. One thing all Newport's, typical or abberant, have in common is the chocolate topped tail and that's only seen in Newport's. What causes these aberrant morphs is a real mystery to me. 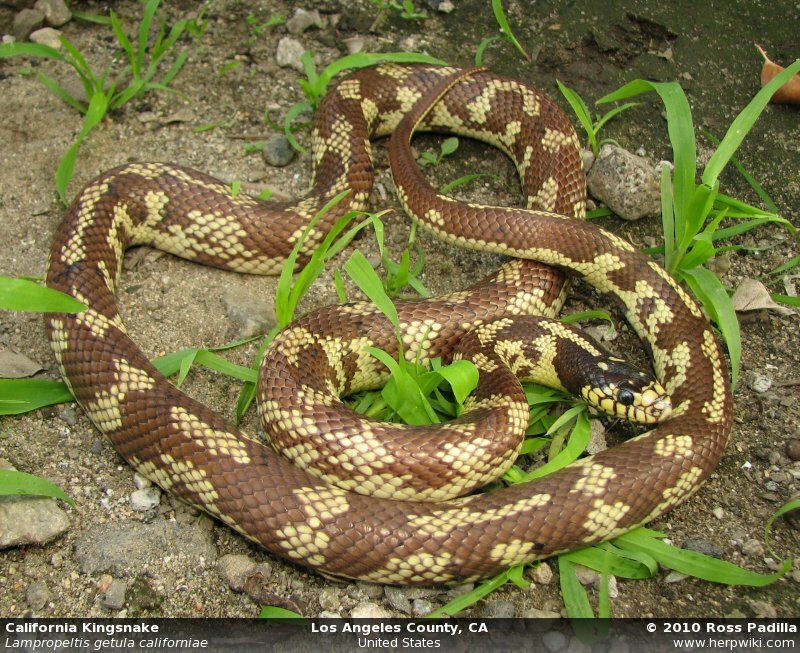 What I do know is the banding influence is responsible for all aberrant's in a striped kingsnake, but not sure how or why it influences some snakes and not others. One other thing I want to mention is the Newport-Long Beach Barred Morph and the Newport-Long Beach Striped Mud Morphs are NOT Newporters. They may be closely related in some way, but are not the same. Here are some aberrant Newport patterns. The Chocolate back Newport was a very special find for Lou and his son Chance back in 2009. 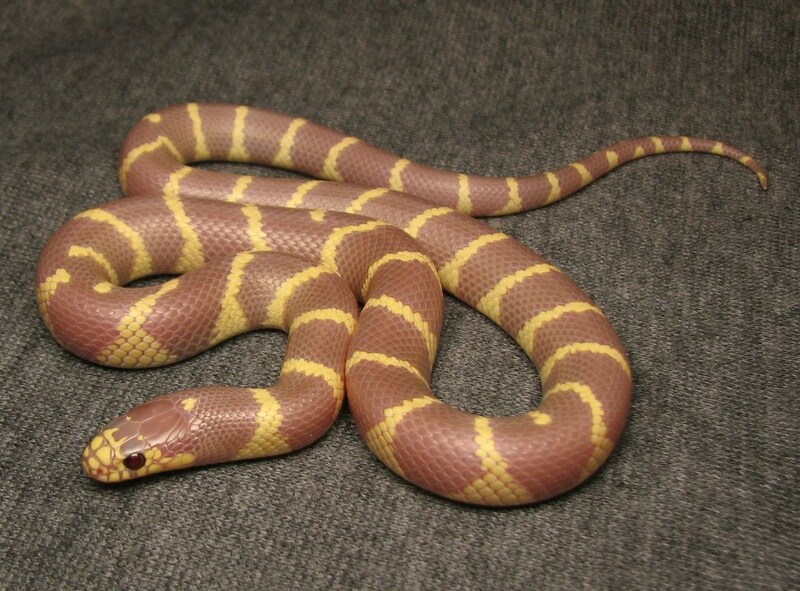 Newport's with an almost completely reduced stripe are considered very rare in the wild. Since Hubbs book had already come out and there was no name for that morph, Lou decided to name it after his son who spotted it first. It was an unbelievable day for them because not only did they find this snake, they also found a Newport-Long Beach Barred Morph and a banded king that was partially barred! That was amazing in its self to find two aberrant's in one day, but the story gets even better. Both aberrant's were gravid and found crawling out in the open in June. Lou kept the CCB and it laid 4 fertile eggs for him. All 4 hatched and the results were 1 banded, 2 Typical Newports, and one Newport/hyper double homozygote. 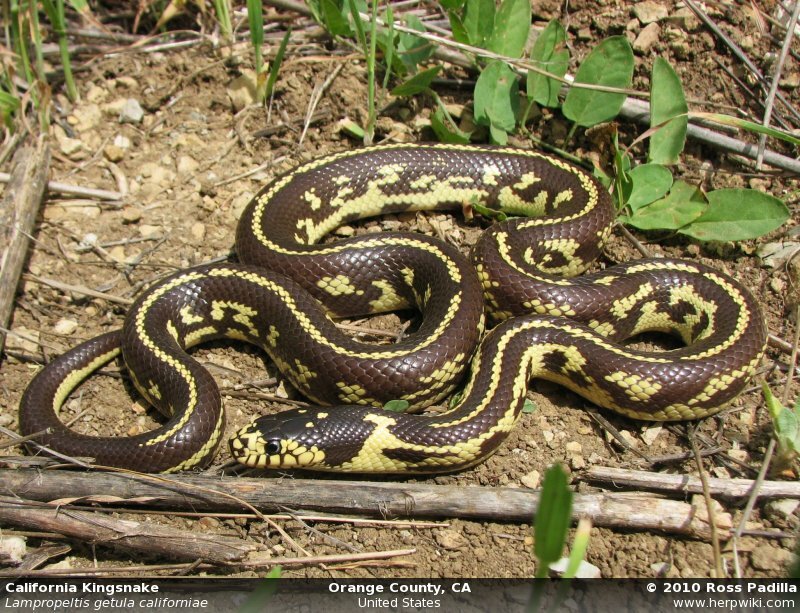 I suspect the CCB will breed very similar to the Newport-Long Beach Scrambled banded Morph, explained bellow. I bred the non typical Newport above about three times and got different results each time. One time it produced 2 Newports that were completely opposite from each other. One being mostly Scrambled banded and the other more striped. You can see that breeding in the captive breeding section. Every Newport it produced was non typical and I think that had a lot to do with its pattern. If every typical Newport threw some non typical Newport's in a clutch, these aberrant's would be much more common. There's only so many Cal kings I can keep by law and only so many I can breed. If I had my choice, I would breed the typical Newport over a period of several years to find out how often they throw aberrant's, if at all. 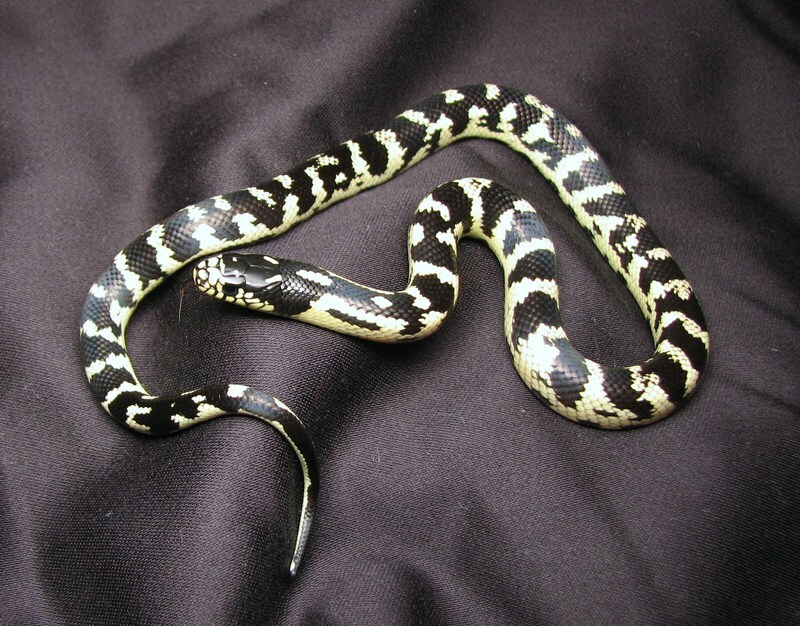 The Scrambled banded Morph above has also been very unpredictable in its breedings. 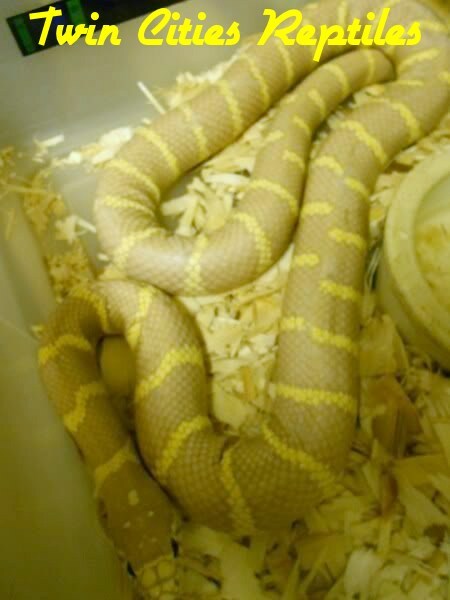 One year it produced a perfectly patterned Scrambled banded morph. Another year it produced 2 typical Newports and 1 non typical. Here is the range of patterns I've got from the wild caught Scrambled banded Newporter. Albino's can be a bit confusing. Basically an albino is a snake that DOES NOT produce melanin, which is responsible for dark pigment in the skin like blacks and browns. 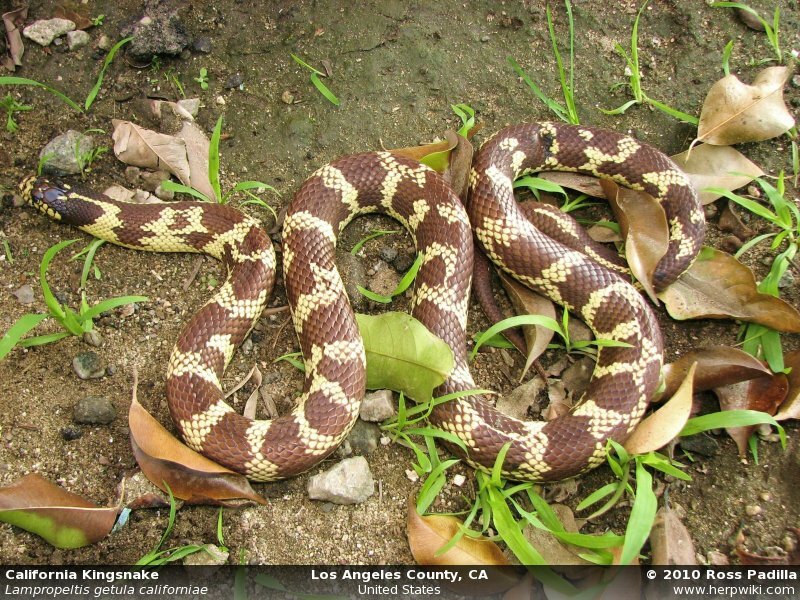 With California kingsnakes, the dark areas are a lavender/pink in hatchlings. 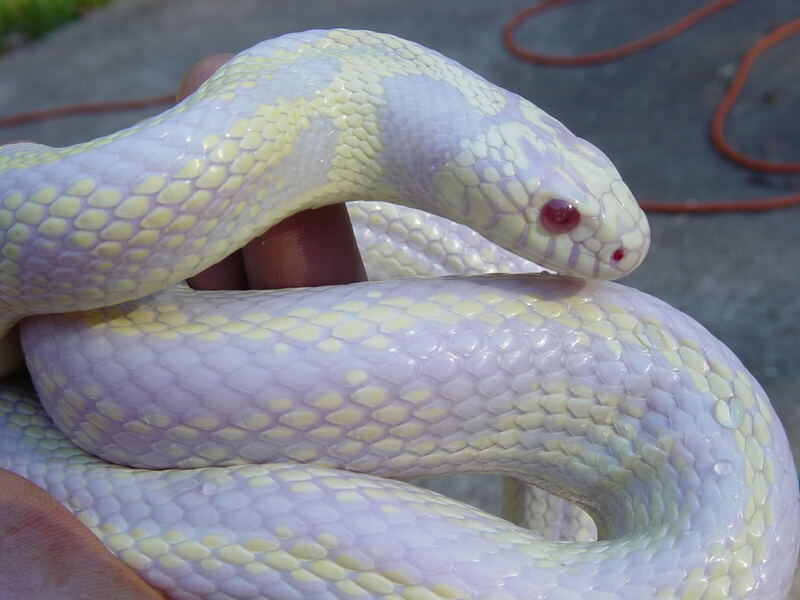 As the snake matures, that lavender/pink becomes more of a white color. They also have pink eyes and the shade of that is the same in juveniles and adults. Then there is a T positive albino (Lavender albino). This type of albino is a little darker because it produces a very small amount of melanin. Because of that, some people don't recognize them as true albino's and would rather call them hypo. They look more like albino's than hypo's, especially as juveniles, so I'd rather call them T positive albino's. Their dark areas are lavender and their eyes are a ruby red. These are known as either Lavenders, Lavender albino's, or Ruby Eyed Lavenders. As adults the lavender turns into a very light tan color. 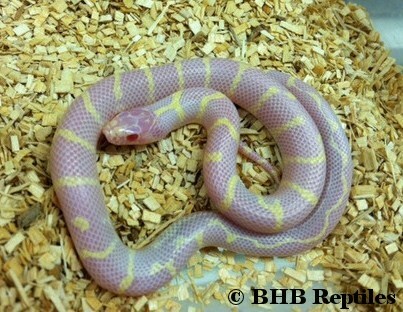 Then there is another morph that looks almost identical called the Blue Eyed Blond (BEB). Most people can't tell them apart and often breed them together thinking they are the same morph. 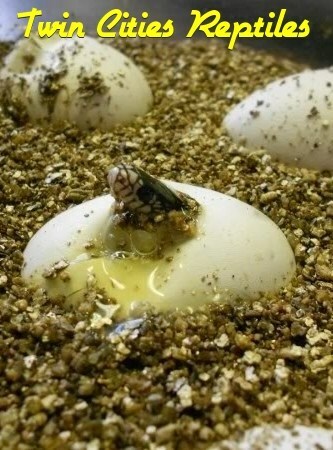 When the eggs hatch they are surprised to see normal colored hatchlings. The reason for this is because the Lavender and BEB are two different genes that just look alike. Because they are different, they are not compatible and the results are double het hatchlings. The same thing can happen with Albino's. There are two different albino genes that are not compatible with one another. So there is always a chance when you breed two albino's together, you will get normal looking young that are double het for these two different albino gene's. These two albinos look identical. The yellow and white bands are never effected by the albino and hypomelanistic genes. Lavender albino and Blue eyed blonds are very similar as adults and especially as juveniles. From what I hear, the difference is in the eyes, but that is nearly impossible to distinguish in most photographs. I've never had adults of either morph, so I wouldn't know how to tell them apart. One keeper I know of bought a pair of Lavender albinos and bred them together. The entire clutch hatched out normal! What seems to have happened is one of the parents was in fact a Blue eyed blonde morph. Because those two recessive genes are not compatible, the babies are double het for both morphs. The photos bellow show that pair and the normal colored hatchling from that breeding. Courtesy of Twin City Reptiles. Merker This strain is named after Gerold Merker because he was the first to start producing this hypo. Its a natural occurring hypo that seems to be frequently found in and around El Dorado Co. in Northern CA. I have no idea why they pop up in this area more than others and not all brown kings from that area are hypo. Whitewater This is the one I found that comes from an area with brown to very dark brown/black and white or cream colored kings. The hypos from this population are very obvious because most normal Cal kings here are dark brown to very dark brown as adults. Corwin hypo Kerby Ross works with this strain. It is unknown to me where this strain comes from. They appear to be a bit lighter than the other hypo strains. 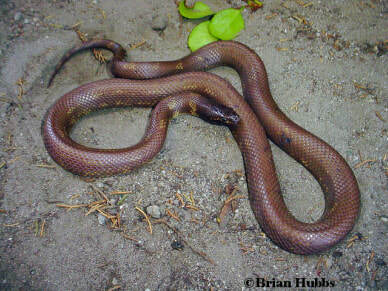 There is also another morph I call the Mocha Morph, which can be banded or striped in San Diego Co. 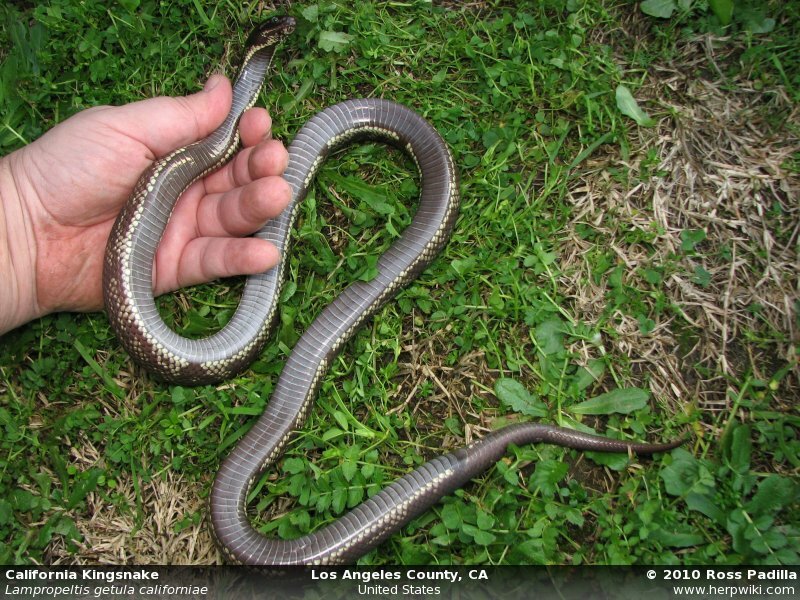 It is also known to range north along the coast, but they are only banded after you get out of SD Co. This morph is so light it looks hypomelanistic. They are born the normal dark brown banded, but fade out considerably as they get older. All the really light ones I've seen have been adults. 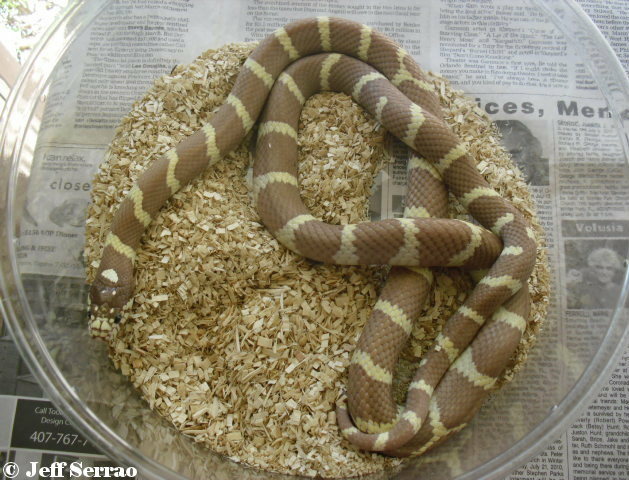 Jeff Serrao has bred this morph, but since his pair are both Mocha banded's, he in uncertain if this is a genetic trait. I bred a male Mocha banded to a normal female and got two out of ten babies that were identical to the Mocha banded hatchlings below. The rest were the normal black, which always fades to some shade of brown. I didn't raise either of them and don't know what became of them, but if they were in fact Mocha bandeds, that would make this morph co-dominant.